VicRoads to repay overcharged TAC levys. VicRoads is set to reimburse 194 Victorian truck owners after the body discovered an error that has overcharged more than $860,000 in the last 20 years. The road authority’s error relates to the TAC levy charged to registered truck owners, with a number of light-weight prime movers classified as being above the five tonne threshold and therefore placed in a higher price bracket. VicRoads says the issues have been occurring since the TAC levy came into being in 1995, and some individuals have been charged $1,900 rather than $700. Upon discovering the fault, which CEO John Merrit says was caused by human and technology failures, VicRoads has begun contacting the aggrieved parties to organise compensation, including the possibility of interest. "The system itself isn’t as clear as it should be," Merrit says, speaking with 3AW. "Obviously the way in which we have trained our staff to differentiate between the prime movers has not been good enough." "And then our audit system has not been good enough. So, all three of those things are being fixed now." As the issue stretches 20 years, Merrit says one individual may have been overcharged $30,000. "It could be quite a good day for some," he says. "It doesn’t make up for the fact we’ve been holding their money but hopefully it will be a pleasant event for them." The Victorian Transport Association (VTA) says parties should come forward if they feel they have been affected. "The VTA is encouraging the registered owners of light prime movers to contact VicRoads if they feel their TAC levy may have been mis-calculated," it says. 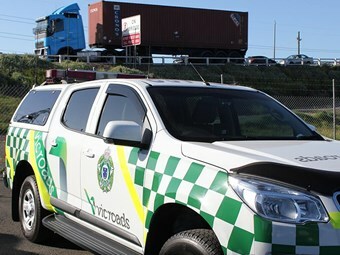 VicRoads has apologised and says owners of affected vehicles are being contacted but has conceded those individuals who no longer own light-weight prime movers will need to get in touch.